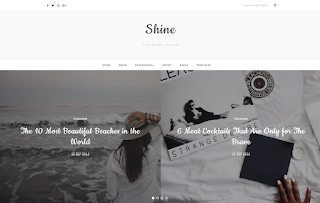 Shine is a clean and unique blogging theme which lets you tell your stories and thoughts with style. This is a responsive and retina-ready blogger template. Shine is a template installed and customized easily. Shine designed for personal blog, photography, fashion, technology blogs & for news blog.